KONDO KAGAKU Co. Ltd opened a new wireless LAN board for hobby robot during Humanoid Helper Project 2nd on Feb 20th, 2010. 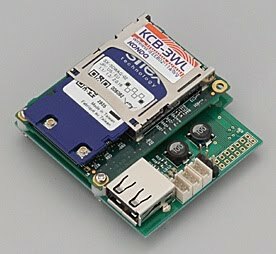 KCB-3WL is a board for remote controlling robot system by watching image around the robot on PC. 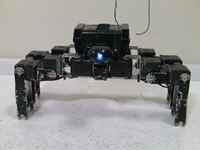 It seems to be useful for such as Humanoid Helper Project, multi-legged robot game etc. The new board will be put on the market July 29th, 2010. The price including all systems is 58,800 yen (including tax). Power Supply: 16 V ( for HV), inside 5 V and 3.3 V, 240 mA~1A. 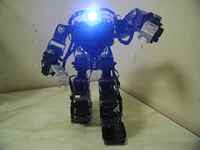 In the 1st Humanoid Helper Project on Aug 17th and Sep 6th 2008, some robot builders used NetTansor of BANDAI for image sensing. Robot builders have been waiting such a small board for image sensing. The same samll sensing system 'Remo' was put on the market on Dec 15th, 2009. It is expected these new small board will be applied to variety of biped or multi-legged hobby robots. The details were also described in NODE by Moriyama.